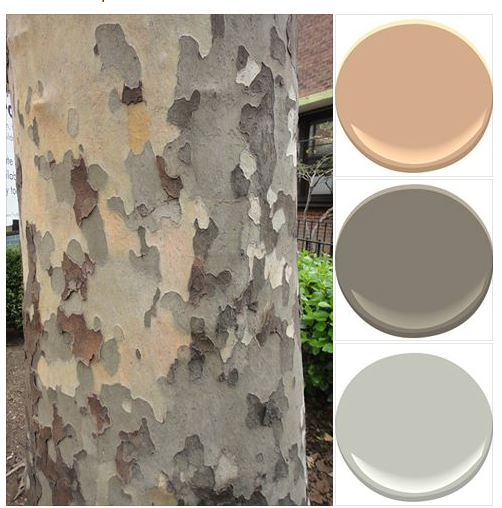 If you are my friend on Facebook then you have probably noticed I have been posting beautiful images accompanied with paint colour choices. 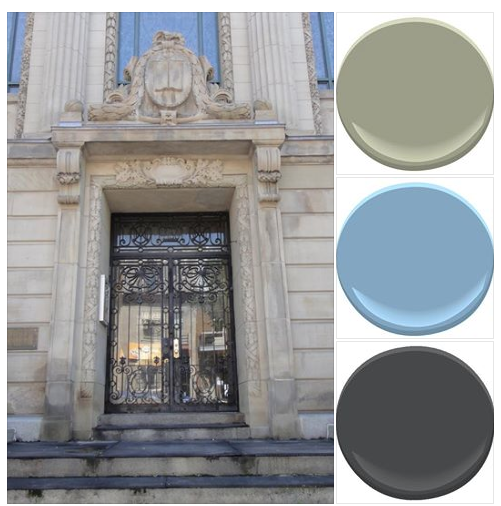 This is a great way for me find interesting colour combinations that I may never normally think of. Whether I find inspiration in old architecture or nature, the colour combinations always seem to look great once pulled together from the visual source of a favourite photo. My discovery process: The easiest way for me to choose colours from an inspiring photo is to find the darkest neutral, the brightest/offbeat colour and then the complimentary colour within the photo. 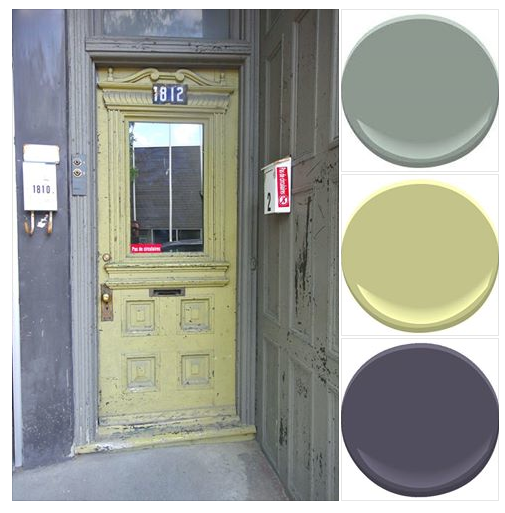 Here are a few examples of my Inspried Colour postings from Facebook. The paint blobs used are all from Benjamin Moore Paints and in future Inspired Colour posts, I will be listing the colours that are featured. 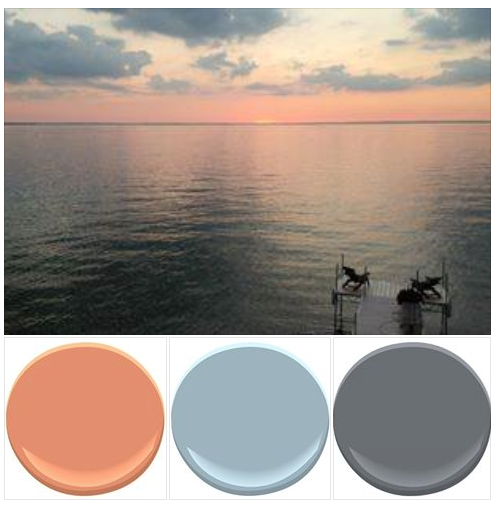 Canada is famous for shoreline sunsets and this one shows off some spectacular colour; remember the peach/blue/grey decor schemes from the 1980’s? Now we know where it was discovered from!!! I am constantly taking pictures of tree trunks; the colours of bark are awe-inspiring for someone who likes to discover colour from nature. This tree was in NYC, outside the Martha Stewart headquarters. I bet she planted this tree because of its gorgeous trunk colours. Ever been to the rockies? The colour of the mountains change by the hour. This looks like late morningtime when the sun is breaking through the clouds. 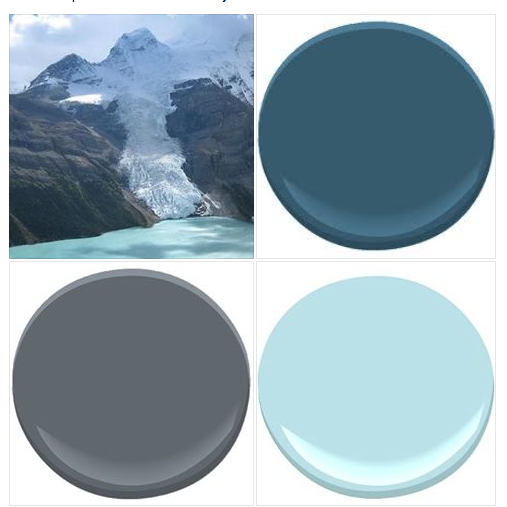 Incredible pool blue, dark elephant grey and teal – all current decorating colours and available directly from nature. This old Montreal entrance probably never had its colours planned by a designer or artichitect, yet they are just so chic. I’d love to decorate a French cafe or dining room with all these wonderful colours combined. Please look for a new Inspired Colour posting each week on this blog… it might inspired by a friend’s picture posted on Facebook, a recent travel photo or just a detail shot of my garden.